I had seen so many people talk about this book everywhere for such a long time so I bought it earlier this year. I finally decided to read it last month and oh my why didn’t I pick it up sooner? Why am I always like this? An internet friend told me this book series would ruin my life but to be honest, I am always willing to take that risk. Another book to obsess over? Sign me the f up. I mean I'm obsessed with tv shows, films, and musicals so I imagined that another series wouldn’t hurt. The name of the boy is Gansey, who is still alive. He attends the local school for rich people, Aglionby. 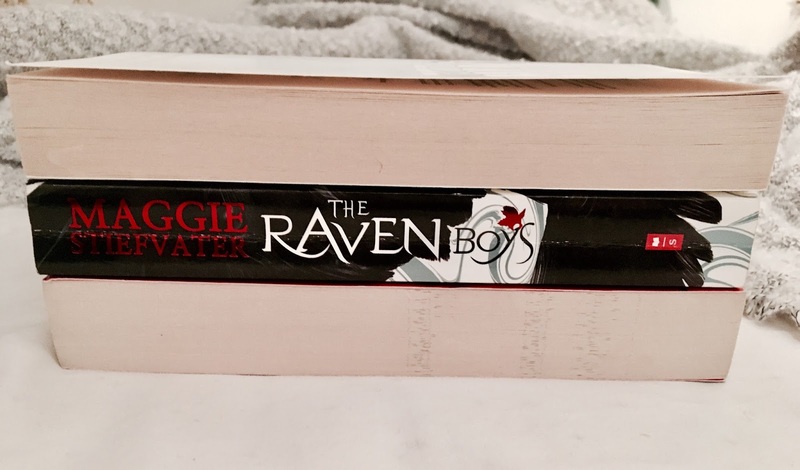 Blue has always avoided boys, especially Aglionby boys (aka Raven Boys), but that changes when she actually meets Gansey and the rest of his gang: Adam, Ronan, and Noah. Gansey leads the boys and Blue in the search of Glendower, an ancient Welsh king, whom he thinks is not dead but only sleeping and whoever wakes him will be granted a favor. First of all, you should know that I couldn’t put the book down. Like I just had to keep reading. Whenever I did put it down (because a girl has to eat, you know), I found myself constantly thinking about the characters and the story. I was THAT hooked. I think the story was so interesting and very well put together. It has a lot of folklore and references to the unexplained which I've always found very intriguing and so in my opinion that makes the book (even) better. The way the whole group gets together/meets for the first time is something I really enjoyed reading, especially since it was quite funny. I also loved that there’s more than what you imagine at first, there’s not just psychic abilities involved in the search of the Welsh king. 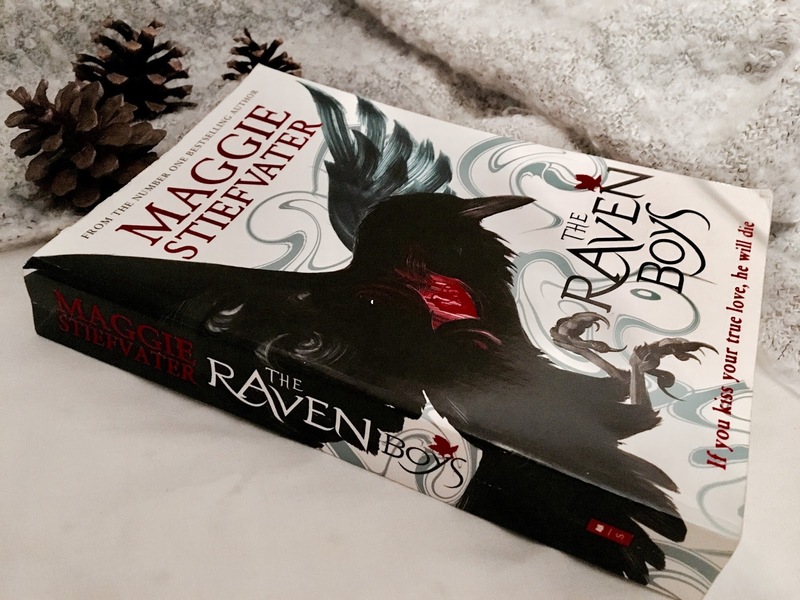 Actual magic is involved and it’s all very interesting, not just for the reader but for the characters as well, especially for Blue, who’s grown up with a family of clairvoyants. There’s this plot twist that you probably won’t see coming and you will be SHOOK (unless you see it coming, duh). I had seen this plot twist on Tumblr a while ago so, unfortunately, it didn’t have that effect on me but still, it is something I think most people wouldn’t expect. In my case, it was a constant ‘okay, when will this happen?!? !’, ‘I am already in pain and I haven’t reached that part yet, please help me’. However, since, I knew, I noticed the details and noticed that it’s easy to predict if you pay attention to the ‘clues’ which is exactly why I am not gonna tell you what it is. Now, let’s talk about the characters. I LOOOVE them all. They are just so brilliant and well written and they all have such great and different personalities. I want to befriend them and protect them. First off let’s talk about Blue, she’s extremely quirky and independent and strong and smart. However, she is also sensible, not that she likes it that much but still. She easily decided to help the boys even if she wouldn’t gain anything from it. Gansey is obsessed with finding the Welsh king. He comes off as classy and maybe arrogant at first but he has this dorky side that I love. I also love that he has the quality of being the leader but he doesn’t disrespect his friends or treats them like they are less than him. He wants to help them in any possible way. Ronan always seems so moody and tough and angry but you can tell there’s a lot more to him. Like, he is a total badass and all but he also has a soft and caring side that you get to see as the story goes on. I can’t wait to get to know him more, especially because he said the last line in the book and I realised what it meant and now I just NEED to read the rest of the series asap. Please someone give it to me for my birthday or something. Adam, oh Adam, my son who needs to be protected from all evil. Ok no, but really, he is so smart and hardworking and caring and sweet, he deserves nothing but good things happen to him. I don’t really want to say much about him because you just have to discover it yourself but I honestly want to fight everyone that makes him suffer, I’m smol but I will do it. I will fight you. Last but not least, there’s Noah. He’s quiet, and shy but also cares very deeply for his friends. I think he is such a wonderful character and so sweet. This is it for this review. I know it's so long but I am very passionate about this book. I honestly can't wait to read the rest, but I want them in paper so it might be a while until I get to read them. Have you read this book? If not, will you read it? I have been wanting to pick this series up for so long and I just haven't gotten to it yet! I've heard nothing but great things about it. Your review has made me even more excited to read it so maybe I'll pick it up soon!